Have an idea for a trail, river, or park in your community? The National Park Service can help! The National Park Service Rivers, Trails, and Conservation Assistance program supports community-led natural resource conservation and outdoor recreation projects across the nation. Our national network of conservation and recreation planning professionals partners with community groups, nonprofits, tribes, and state and local governments to design trails and parks, conserve and improve access to rivers, protect special places, and create recreation opportunities. 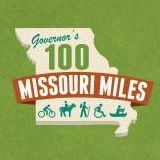 MoBikeFed comment: The RTCA has helped with a number of important trails projects across Missouri, including a current regional trails plan in the Kaysinger Basin Regional Planning Commission.